Establishing good credit is key to having a healthy financial life. Your credit score acts like a financial resume and has great effect on a number of areas in your life. From leasing an apartment to getting a job, having a good credit score really does matter. 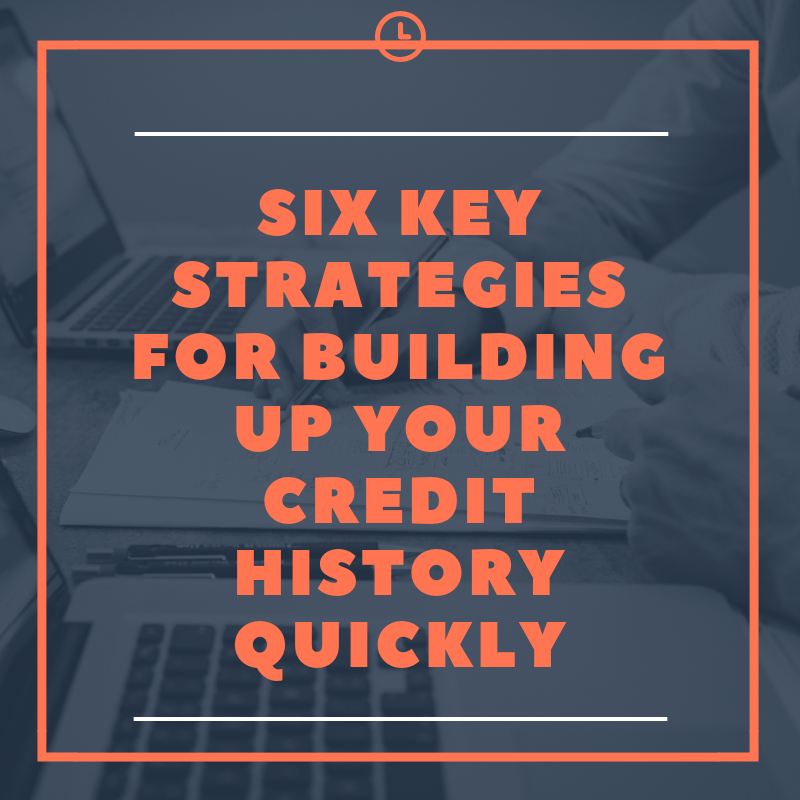 Whether you are just graduating college and trying to establish credit history or you are just trying to build yours up, you will want to read on. 2019 is the perfect time to take stock in this very important part of your financial journey. An easy way to start building your credit history is to become an authorized user on a credit card. For Visa and Mastercard, this can be at pretty much any age. Discover and Amex require you to be at least 15 years of age. So, if you have a relative or friend willing to add you, you are in luck. The key thing with this is you want to make sure the account is in good standing. That means no late payments and that the balance is not almost maxed out. If this is the case, stay away. If you do have someone who is financially responsible and you are added to their account, the entire history of that account will appear on your credit report. FICO does add this into their credit score algorithm so it can improve your credit score significantly in some cases. If you are having trouble getting a credit card, then applying for a secured credit card may be the answer for you. This type of card works similar to a regular credit card, except that with a secured card you are putting down a security deposit with the credit card issuer in order to get the credit card. $300-$500 is what you can expect to have to put down assuming you have OK credit. If you have negative things on your credit report, the card issuer may require a higher deposit. If you just don't have much credit history and you don't have any negative items, they may ask for a lower deposit. Keep in mind, this is not a debit card that is tied to your bank account. You will get a bill each month like a credit card and you need to make a minimum payment. This payment will not come out of your security deposit. Your deposit is there in case you default on your payments. The purpose of this card is that it gets reported to the credit bureaus. So each time you use the card and make payments on time, you are building up your credit history . After you have been using your secured card for a year, and you have been using it responsibly, you have the opportunity to apply for an unsecured credit card. Making your payments on time each and every month is huge when it come to your credit. An easy way to make sure you do not miss one is to automate them. You can set up automatic deductions with the debtor or you can set it up with your bank where they make a payment anytime an electronic bill notification is received. If you think you can pay it off each month in full, you can set up automatic payments with a credit card. You will build credit not just by paying your bills on time but also showing responsible credit card usage. Just always make sure to check your statements each month for accuracy. The best and most responsible way to use a credit card is to pay off the full balance each and every month. Leave a balance and you start paying interest. The more of a balance you carry over time, the more damage you can do to your credit score. If for some reason you need to carry the balance, try and not make it for too long. Payment history is a big part of what goes into calculating your credit score. For this reason, you must make your payments on time every month and also never miss a payment. Furthermore, the effect is not just on your score but your late payments can also create negative marks on your report. The best way to never be late is to write down the due date for each of your bills and set up reminders. With smartphones, there really is no excuse. You can also automate your payments and set up e-bills with your bank account. While you are trying to build up your credit history, you want to be careful about opening up too many accounts at once. You want to spread it out over time. As an example, if you get an unsecured credit card, we suggest using it for a minimum of six months before you apply for any other credit cards or any other type of credit. This is key since each time a lender checks into your credit report, you score goes down. There is an exception to this rule. If you happen to be applying for a home loan, for example, you can apply with multiple lenders. This way you can shop and compare interest rates and loan types. If these loans are applied for within a 30 day period, the inquiries into your credit will only count as one. Take advantage of the free credit report you are entitled to each year. Head to Credit Karma to get a free copy. Make sure everything is accurate. Always pay your bills on time. If you make even one payment 30 days late, you can expect to see your score drop by as much as 100 points. Your payment history is 35% of your credit score. Payment history makes up the biggest part of your credit score. Don't close your accounts after you have paid them off. They represent up to 15% of your credit score. Try to keep low credit card balances. How much of your credit you are using at any given time is 30% of your credit score, so the lower your balances are, the higher your credit score will be. Try to diversify your mix of credit account types. This makes up 10% of your credit score. So you want to try and have not only credit cards but also, an auto loan, an installment loan etc. How do you get a credit score? You need to have a credit line open for at least 6 months before you establish credit. Once you have this, you have established enough history and a FICO score will be generated. What is the best way to establish good credit? The best way is to pay your bills on time, over an extended period of time, you will see the benefits reflected in your credit score. Payment history is 35% of your credit score. You also want to carry low balances and pay them off in full if you can. Can I improve my credit score by becoming an authorized user? The simple answer is yes. This is incorporated into your score since the entire history of the account will be added to your report. Assuming there is a positive history on the account, you can get a nice boost to your score as well establish credit for someone who does not have any. How old do you have to be to become an authorized user? Visa and MasterCard cards do not have a minimum age. Discover and American Express require that you be at least 15 years of age.